Molson Coors has found its pot partner. The brewer announced early Wednesday it's teaming up with Hydropothecary Corporation on a joint venture to develop cannabis-infused, non-alcoholic beverages. BNN Bloomberg recently reported Molson had engaged in talks with as many as four marijuana producers over a six-month period to explore opportunities in Canada's soon-to-be legal recreational cannabis market. Under the terms of the agreement announced Wednesday, Molson Coors Canada will hold a controlling 57.5 per cent stake in the partnership, with an eye to have products ready to go in 2019 when consumable pot products become legal. The partnership between Molson and Quebec-based cannabis producer Hydropothecary will be structured as a standalone company with its own board and management team. A chief executive officer will be named in the coming weeks. Molson Coors Canada CEO Frederic Landtmeters said in an interview with BNN Bloomberg on Wednesday that its deal with Hydropothecary comes amid an increasing acceptance of cannabis among consumers. "We basically made the choice not to be a spectator but to be a participant – and to be an active participant – in this space,” Landtmeters said. "We have seven generations worth of heritage and expertise in the brewing industry. We are considering ourselves experts in terms of generating consumer insights, to execution in the market place, but really what we thought we were missing here was expertise in the cannabis space." For Quebec-based Hydropothecary, which is renaming itself HEXO Corp., the deal will provide a boost in terms of consumer insights and distribution capabilities, CEO Sebastien St. Louis said. "The capabilities that Molson Coors Canada is bringing to the table simply don’t exist in the cannabis space today," St. Louis told BNN Bloomberg in an interview. "HEXO has always focused on bringing innovative, non-smoke products to market. And now we have a partner with unmatched distribution capabilities and the ability to really understand the consumer." The companies said they expect their deal to close by the end of September. Shares in Hydropothecary were up more than 12 per cent to $4.89 on the Toronto Stock Exchange at 2:24 p.m. ET Wednesday. Molson Coors shares were trading 3.53 per cent higher at US$69.52 on the New York Stock Exchange. The deal comes as more mainstream companies are showing interest in the cannabis space. 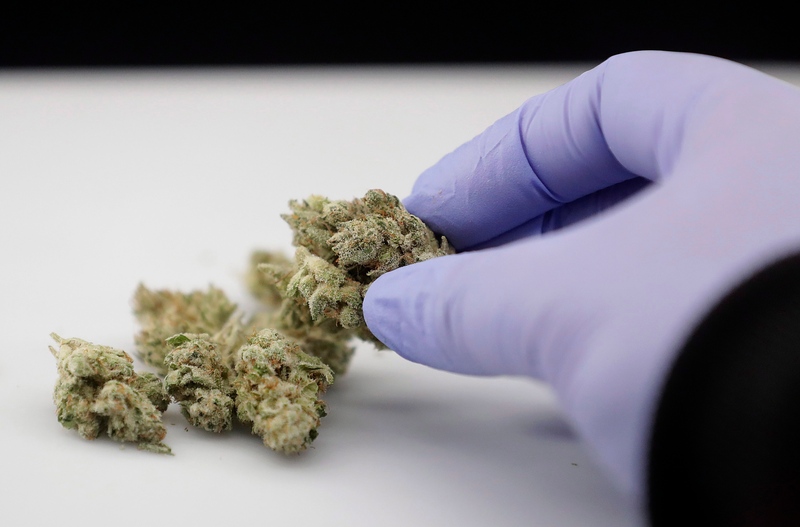 Alcohol giant Constellation Brands Inc., the distributor of Corona beer, bought a stake in Canadian pot producer Canopy Growth Corp. last year, and cigarette maker Imperial Brands Plc last month took an equity stake in closely held Oxford Cannabinoid Technologies. What’s the biggest challenge tied to pot legalization in Canada?